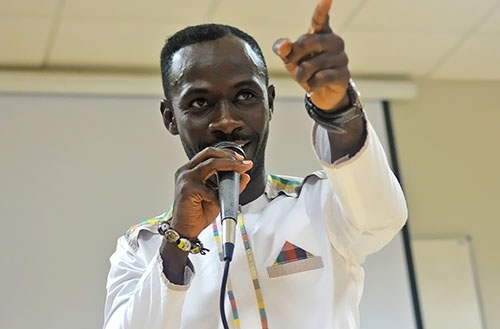 Born Kwame Nsiah Appau, in Kumasi, Ghana, Okyeame Kwame (Pronounced O-chi-a-mi Qua-Mi), is a multi award-winner. Celebrated as much for his Musical achievements, family life and his humanitarian activities this son of an accountant and tutor is an archetypal role model. 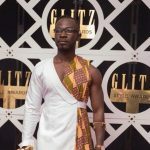 His first forays on to the stage came at school but a chance meeting with a like-minded youth over a table tennis led to him forming one of the earliest HipLife duets in Akyeame. 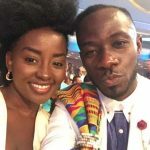 Two albums came from the partnership before Okyeame emerged as a solo artist. 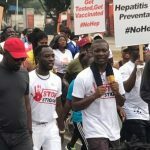 A campaign of features saw him collaborating on some 200 recordings with other artists including the likes of Highlife Legend Daddy Lumba, Dassebre Gyamena & Nigeria’s Olu Maintain. Now eight albums deep he has the key to the city of Cincinnati, is an Ambassador of Reading (To Canada), Climate Change and runs Hepatitis B vaccination drives. In 2018 he announced a throwback project called ‘Made In Ghana’ for which he collaborated with one artist from each of Ghana’s ten (10) regions.